Select one or more of our CSA Flower Subscription Plans and each weekend enjoy a delightful assortment of our colorful and fragrant flowers, farm-grown and freshly cut. Delivery is available to Orient, East Marion, Greenport, or Southold on Friday afternoon. We can leave the flowers in a sheltered place, no need to be home. Or you may pick up your flowers from our stand at the new, indoor Greenport Farmers Market (414 First Street, Greenport) or from our barn (1110 Terry Lane, Orient) on Friday afternoon or Saturday morning. Our Spring Flower Subscription includes daffodils, anemones, alliums, ranunculus, tulips, and other Spring delights. $130 if picked up or $172 delivered locally to your door. Our Summer Flower Subscription includes an array of all our favorite summer annuals and perennials, including cosmos, zinnias, nicotiana, China asters, stock, queen anne’s lace, snapdragons, dahlias, celosias, nigella, scabiosa, gomphrena, corn cockles, rudbeckia, sunflowers, and other Summer blooms. $200 if picked up or $266 delivered locally to your door. 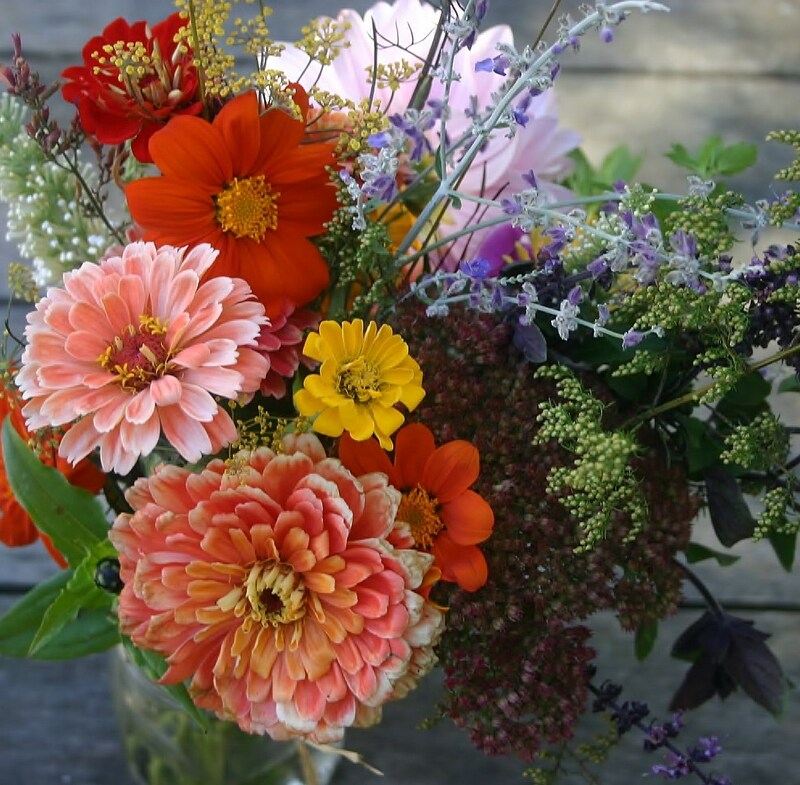 Our Fall Flowers Subscription includes dahlias, salvias, snapdragons, zinnias, queen anne's lace, gomphrena, scabiosa, and many more colorful blooms of Fall. $145 if picked up or $193 delivered locally to your door. May, June, July, August, September, October. We offer flowers by the month. Each mixed bouquet is made from our weekly offering of peak-blooming flowers. $75 if picked up or $99 delivered. $90 if picked up or $120 delivered.